Now celebrating its 40th year, the Mardi Gras is one of the main annual celebrations for LGBTQI Australians and at Google it’s one of our favourite times of the year, when we get together to support equality, diversity and inclusion. We’re proud to provide our support to the Mardi Gras through funding of the Community Parade Grants program. Today, we are also thrilled to help the Mardi Gras tell the inspiring story of how it has evolved over the past four decades through the Google Arts & Culture platform. The interactive timeline of images and videos portrays decades of Mardi Gras love, protest, diversity, acceptance, activism, pride, family, passion, creativity, drama and satire. The 40th anniversary of Mardi Gras makes me reflect on my own history with this iconic event. Being born and raised in Austria, I was on a holiday in Australia when I met my first girlfriend at Mardi Gras in 2005. You could say that, ultimately, Mardi Gras greatly contributed to me still being here almost 13 years later. I have marched three times in the parade, and I still feel goosebumps thinking about that very moment when your float turns onto Oxford St, the crowd roaring. Feeling like a rockstar, celebrated by thousands! It’s been a long few months for the Australian LGBTQI community. 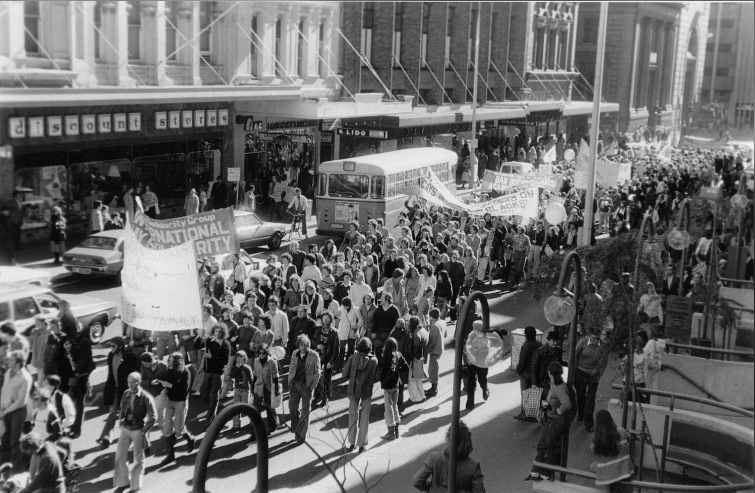 I hope that we’ll be able to celebrate equality for all Australians when Mardi Gras comes around again next year. 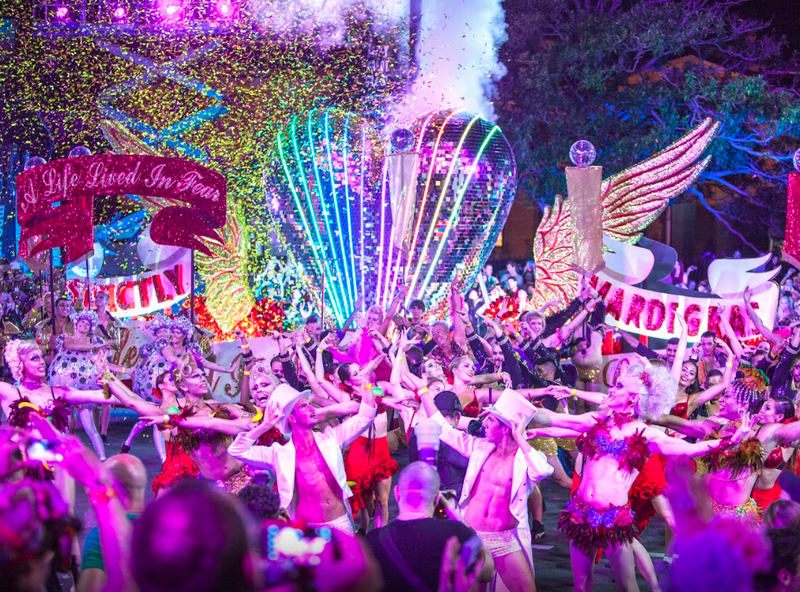 The Sydney Gay and Lesbian Mardi Gras may have started life as a protest, but these days it’s a different kind of riot as hundreds of thousands of marchers and supporters annually make it one of the biggest and most fabulous LGBTQI celebrations anywhere in the world.